There is coffee brewing, the house is quiet, it’s early morning on the weekend. Everyone is asleep and I just experienced bliss. As I cream my coffee with Bailey’s, (because weekend!!!) I am pondering this feeling. Jotting down my stream of consciousness hopeful that someone in the future after I’m long gone might read and discover a little secret to life that took me nearly 1/2 a century to uncover for myself. I’m a person that likes change, craves it in fact. Doing things the same over and over gets woefully boring. Because of this, I never quite understood why for some people repetition, seemed so important. Maybe it was because my religion had so much repetition, so much ceremony in it, that I got more than my fill of doing things the same way over, and over, and over, and over…. 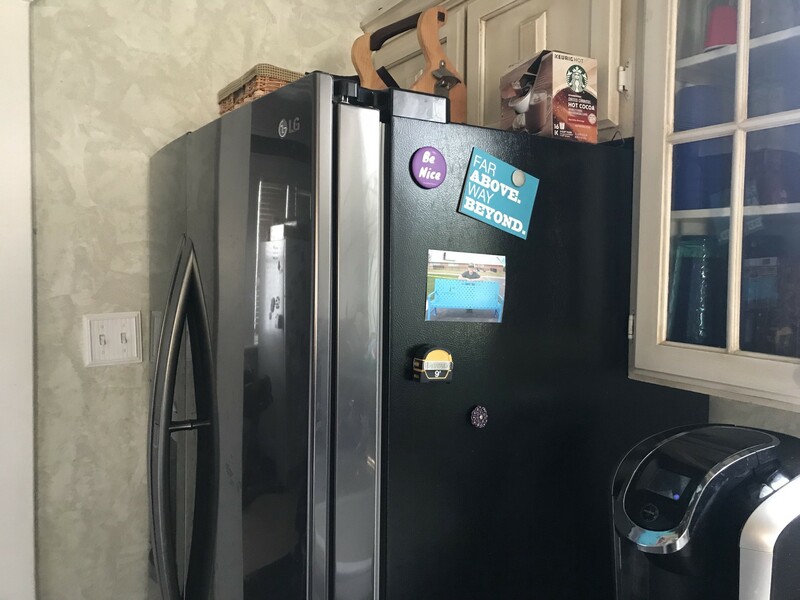 oh Fridge can you hear the words of my mouth… again! Maybe that’s why it took a few years of leaving that all behind to discover I like a little ritual in my life. For a few months now, I have enjoyed a quiet morning all to myself most days of the week. It really has become a ritual for me. A time I can gather my thoughts, plan future inventions, think about life and the incredibly amazing bit of luck that I had to experience it. I stare at my Fridge, humming in the corner of the kitchen. It’s current display of recent moments in our lives highlighting memories that mean something to me almost brings a tear to my eye. This is the bliss of ceremony. The ritual you discover that works for you. Not the one imposed by others, the one you create for yourself. Maybe like me religion burned you. Maybe it burned you far worse than I ever was. Maybe though, just maybe some of the functionality of ritual and ceremony that most faiths promote is worth creating in your life too. It’s my cool hope that you do. 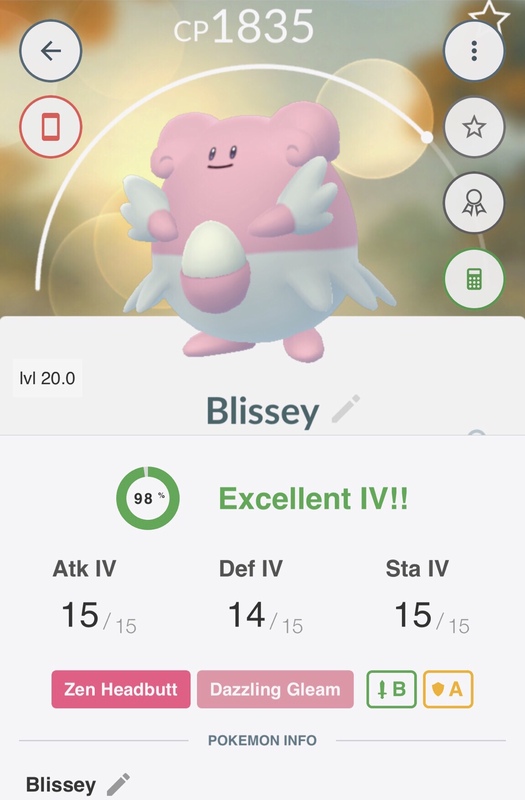 I went to Pokémon community day with my sons this same afternoon, caught a 99% IV level Blissy. Coincidence that happened on the same day I preached about finding bliss? I think not! It’s the little things that prove the Fridge is true. 🙂 I think I will power her up and name her blissful. I totally agree some rituals if you like are beneficial ( like a quiet morning to your self,nice glass of wine a date with your wife or significant etc other all good stuff).But I enjoy those things without once reminiscing to my former religion( always thought the temple ceremony etc was repetitive but it’s suppose to be but it’s boring and teaches nothing after the first few times through).To me life is somewhat repetitive and routine in some things but not everything should be that way shake it up do something different take a different way homeLife is constantly in motion so move.